374 p., 15,6 x 20,9 cm. With contributions by Walter Biemel, Jan Bollack, Bernhard Böschenstein, Annemarie Gethmann-Siefert, Samuel Ijsseling, Christoph Jamme, Theodore Kisiel, Joseph J. Kockelmans, Gerhard Kurz, Hans-Christian Lucas, Werner Marx, Hugo Ott, Adriaan Peperzak, Alexander Schwan and Ingrid Strohschneider-Kohrs. These volumes deal with Otto Pöggeler, an authority on Heidegger and Hegel, and his questions pertaining to the relationship between philosophy and poetry. 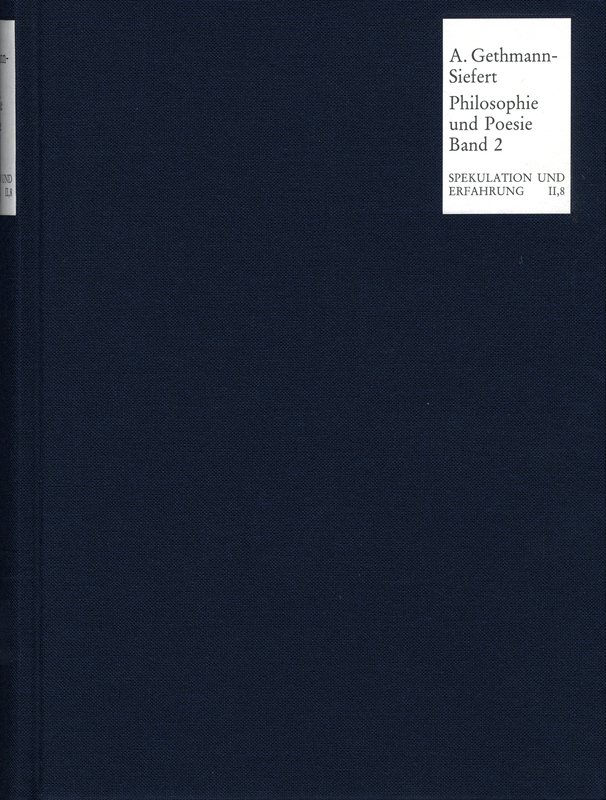 In the 36 articles in this work, the function and form of philosophy, aesthetics and politics in German idealism, the unity of thought and poetry in Heidegger’s work and the philosophical dimension of poetry are discussed. Theodore Kisiel: War der frühe Heidegger tatsächlich ein »christlicher Theologe«?